Richard Sanderson of experimental/improvised music label Linear Obsessional Recordings put out a call recently for tracks for a compilation album with only two rules: 'that the works had to be exactly two minutes long, and that at some point in the recording process a microphone should have been used'. 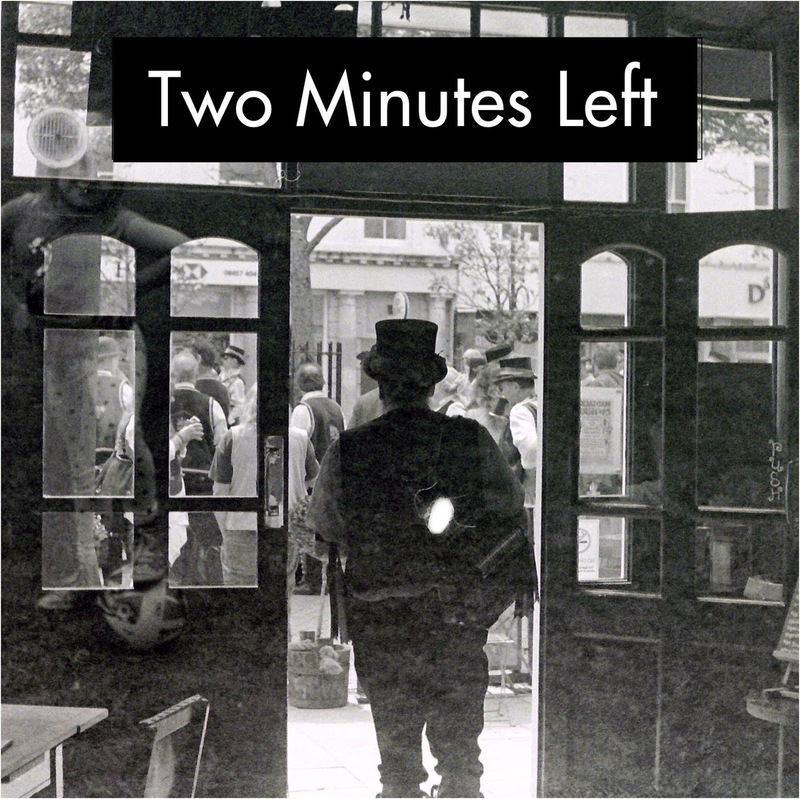 The outcome is 'Two Minutes Left', a collection of 87 tracks from all over the world, released this week. The tracks, as Richard says, 'are as diverse as it's possible to imagine- from full, immaculately produced studio works to hissy smartphone recordings- and throughout there are things to remind you that you're listening to real people in real places - birdsong, pets, breathing, conversation, and the location recordings run from the electrobabble of a Shanghai cab ride to the near silence of night on the Argentinian Pampas, to the sounds of the pub or a football match. In between are some gloriously recorded musical vignettes by some of the most extraordinary musicians around... it seems to me to be ultimately a celebration of being human, and a celebration of friendship and collaboration'. There's a recording of Blackheath Morris Men practicing at St Marks Church Hall in Greenwich, and a track from Brockley-based minimalist guitar ensemble the Broca Ensemble.